Did you know that fishing not football is the most popular pastime in the UK? No I didn’t either although my brother in law is a keen angler. Fishing holidays are also growing in popularity and Africa is one of the best places to go. You get the chance to catch some really huge and exciting fish and relax in some beautiful scenery. You can also combine it with a safari and get the best of both worlds. Also the safari or beach option might please a non-fishing partner! With so much to choose from we have narrowed it down with some ideas below. 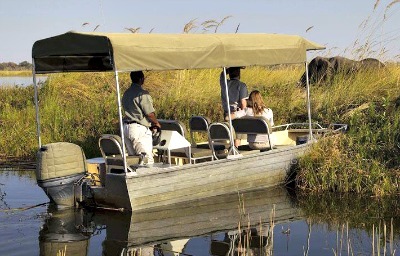 One of the best places for a fishing holiday is Botswana and in particular the Okavango Delta. This huge inland river delta covers hundreds of miles and surprisingly doesn’t run into the sea but evaporates and disappears into the land. There are permanent lagoons and rivers but during the rains the area covered by water increases enormously. Fishing is available at most of the lodges on the Delta. We have several lovely luxury safari lodges and camps where all the game viewing is done by motorboat or mokoro (a dug-out canoe) and fishing is also widely available. A day spent drifting through the reed beds passing big game and stunning birds whilst you fish is pretty unbeatable! In the crystal clear waters of the Okavango River you can fish for tigerfish, tilapia, bream, nembwe and African pike. The tigerfish is an indigenous with an enormous appetite and they can grow up to 9 kilos in weight! The best time to fish for tiger fish is during the annual catfish or barbel runs. This is usually in our autumn from late August to the beginning of November. Bream fishing is usually best during our summer months, from April until August. 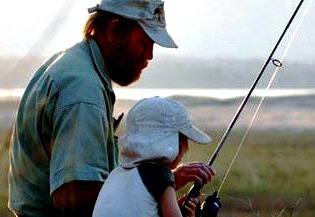 We recommend staying at Camp Okavango for excellent fishing. The lodges and camps can provide all the fishing equipment you need but you can take your own kit if you prefer. Mozambique is a huge country stretching along the east coast of Africa from Tanzania to the north down to South Africa in the south. It offers a massive variety of habitats from the Zambezi River to the shores of Lake Malawi, from national parks filled with the Big Five to lush mangrove swamps and islands dotted off the stunning coastline. However the main type of fishing done in Mozambique is sea or sport fishing and the island archipelagos and coral reefs are outstanding here. 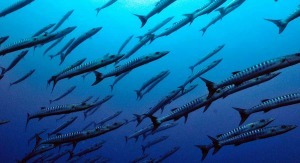 Marine life includes whales, dolphins, manta rays, turtles and sharks. The Mozambique coastline, particularly the Bazaruto and the Quirimbas Archipelagos, offers some of the most spectacular sport fishing in the world. This part of the Indian Ocean is a protected marine reserve meaning it is unspoiled and pretty undiscovered which makes it ideal for a luxury fishing holiday. Combine this with some truly stunning hotel and beach resorts and some of the world’s finest beaches and Mozambique is a dream destination. The deep Mozambique Channel has a very strong current and it provides a home to some of the world’s most exciting sport fish. Species such as black, blue and striped marlin, sailfish, shortbill spearfish, wahoo, dorado, various tuna species, king and queen mackerel, kingfish (jack’s), queenfish, barracuda and snappers are all to be found here. Again there is plenty to do if you are travelling with a partner or friend who isn’t into fishing as there are plenty of fabulous beaches, scuba diving, snorkelling, sailing, boat trips and luxury lodges to relax in such as Ibo Island Lodge . The boat operators provide all the gear you will need for sport fishing and we can pre-book it for you or you can do it when you are there through the hotel concierge. 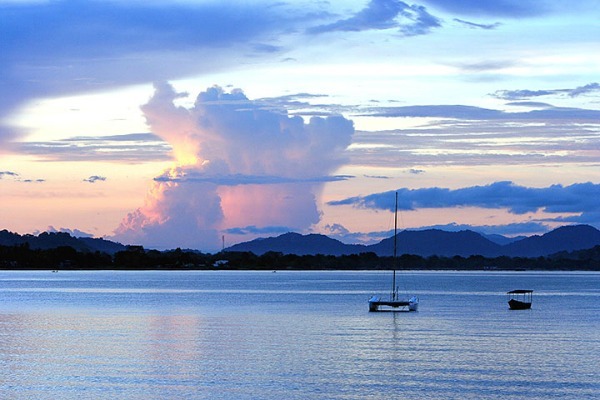 Lake Malawi is another fabulous fishing destination for the keen angler and it is also popular for those who want to go diving and see the endemic fish species that live in this enormous inland sea. Again like all our destinations the scenery as well as the wildlife is fantastic and we have some fabulous lodges and beach resorts dotted along the shores of the Lake. The water here is crystal clear, unpolluted and wonderfully warm and there are many sandy beach, islands and rocky coves providing plenty of different habitats. The majority of the 400+ species in Lake Malawi are small tropical aquarium fish, mbuna. However you can also find sungwa (perch), ngumbo (lake yellow-fish), mpasa (lake salmon), sanjika (smaller relative of lake salmon), ncheni (lake tiger), kampango (catfish) and vundu (catfish). Fishing is year round but probably the best time to go is between September and April. One of the best places to stay on the lake is Pumulani Lodge. although there are more rustic options available too. Although Lake Malawi is the main draw you can also do plenty of fantastic river fishing. The Bua River, running through the Nkhotakota Wildlife Reserve, is excellent for salmon with the Luweya, Lufira and North Rukuru not far behind. 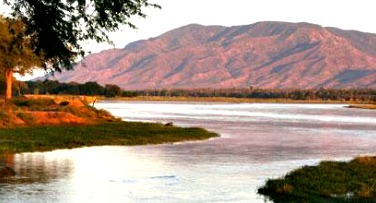 In the Lower Shire River, below the Kapichira Falls on the southern boundary of the Majete Wildlife Reserve, tigerfish are abundant, joined further down by vundu and barbel as the river broadens. Heavier tackle and a boat are needed here. Dry season fishing between May and November is possible in the Lower Shire river and requires no licence. The streams and dams of Zomba Plateau, Mount Mulanje and Nyika Plateau are well stocked with rainbow trout. You are only allowed to do fly fishing in this area with flies tied on single hooks. The season runs from September to April. Please note you will have to take your own kit with you in most places although some lodges do provide good tackle. Please check with us first before travel. 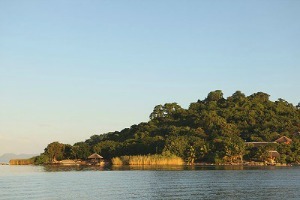 Lake Kariba and the Zambezi River are the main highlights for a fisherman. The Zambezi River is the fourth largest river in Africa and is home to one of the continent’s most sought-after fresh water game fish such as the tiger fish. The tigerfish is an aggressive predator and one of the fastest freshwater game fish in Africa which makes it a challenging species to catch and a great challenge for fly fisherman. Trying to lure the fierce tiger fish can be a real batlle as it usually puts on a dramatic display of fight when captured. Both the Upper Zambezi – the section of river above the Victoria Falls – and the Lower Zambezi – the section below the Kariba Dam wall – offer excellent opportunities to fish for tigerfish. There are a number of excellent fishing lodges on the banks of both the upper and lower sections of the Zambezi and also there is a huge range of wonderful safari lodges that offer fishing as well as game drives looking for the Big Five. Many of these lodges provide a range of fishing activities, all the way from a novice angler to the professional fly fisherman. As fishing can be combined with game activities and wonderful safaris this is a great holiday if you have a partner or friend who does not wish to fish as there is plenty to do and the lodge are all great places for relax with swimming pools and sundecks. For the visiting angler most can provide a full range of equipment is provided but you can take your own tackle if you prefer (please check before you travel!). We can recommend staying at various different lodges such as Mana Pools Camp many of which offer fishing along with safari activities and canoeing. But please note that we tailor-make all our holidays to suit you so if you want a purely fishing holiday then please give us a call and we can create one specially for you!